Even the name seems more than a touch surreal. Literally the name means “Island Island.” Isolated. Insulated. Protected from the madness-tainted city. No roads lead to Isla Pulo. It is a veritable water world, accessible only by banca or on foot at low tide, via a long and precarious bamboo bridge. The sights seem among the people, perhaps more so. Abject poverty, mounds of carbonized wood, soot-blackened faces, smiles peering from beneath rubble called home. One thousand inhabitants located on an isle on the shores of Manila Bay, Philippines. 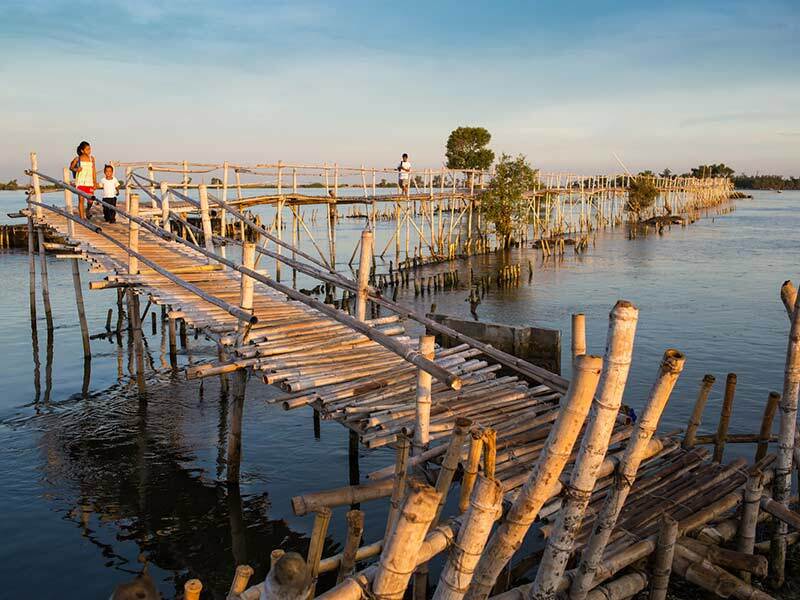 “On Foot”–One of two ways to the island: via a long precarious bamboo bridge, accessible when tides are low. The air that pervades is thick with sea spray, human refuse, particles of coal dust. Yet it is thicker, still with the people’s indefatigable spirit. Charred hands; in dire contrast with eyes, bright with hope. Still. No excuses; no complaints; no self-pity here. They work hard to survive. The people live off the sea and the land. Their main sources of income: Fishing and the production of charcoal, sold to neighboring communities. An incredible sense of community runs through the island. One family, working towards aspirations seemingly a tad beyond their reach; yet ones they have somehow managed to grasp. 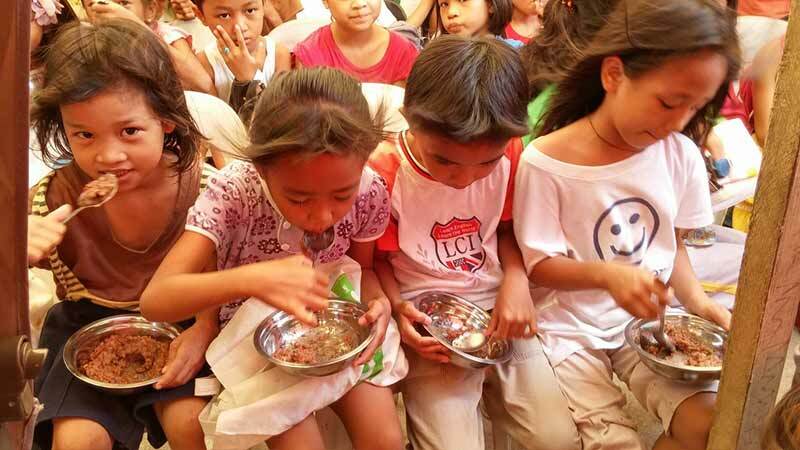 By working together as one, the people of Isla Pulo have built three classrooms, in which their children are educated. In preparation for a future beyond fishing and coal. 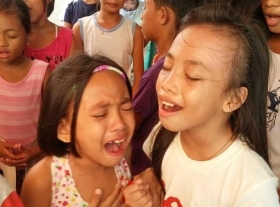 Remarkably, their children – born of coal and raised on perseverance – have gone on to high school, even college, in Metro Manila. 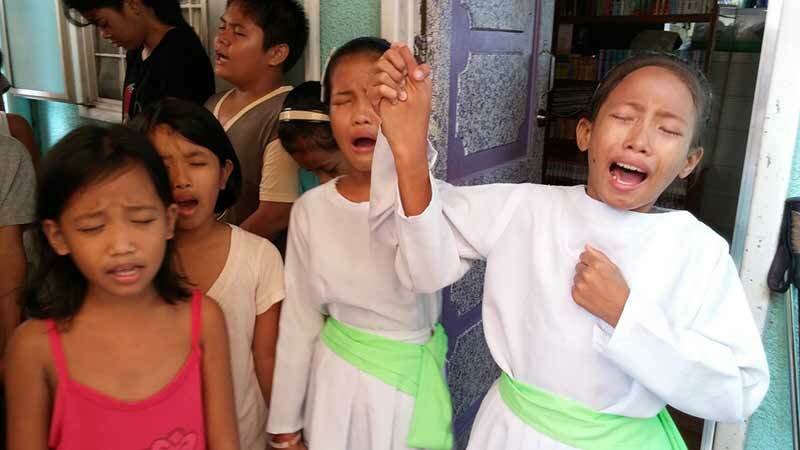 Many of them return to the island to pay it forward; teaching those who follow after them. 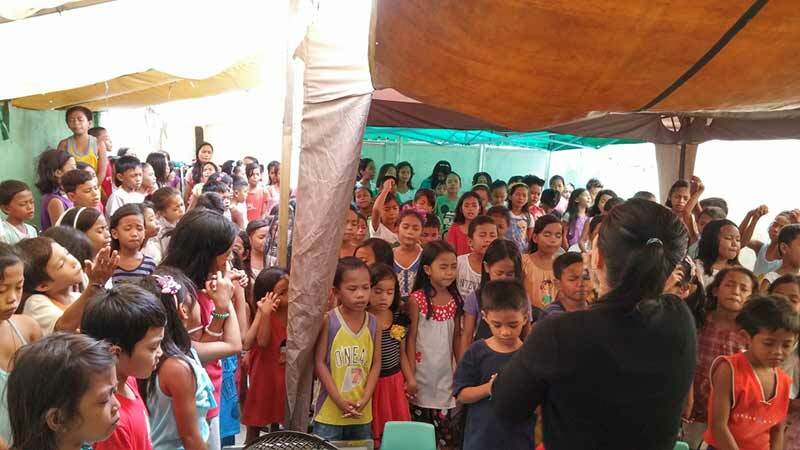 Community efforts have also resulted in the acquisition of a small generator, which – for a few hours each night – provides light, powers several communal televisions, and allows for the charging of cellular phones. Otherwise: There is no electricity, no gas, running water, or community sewage system on the island. 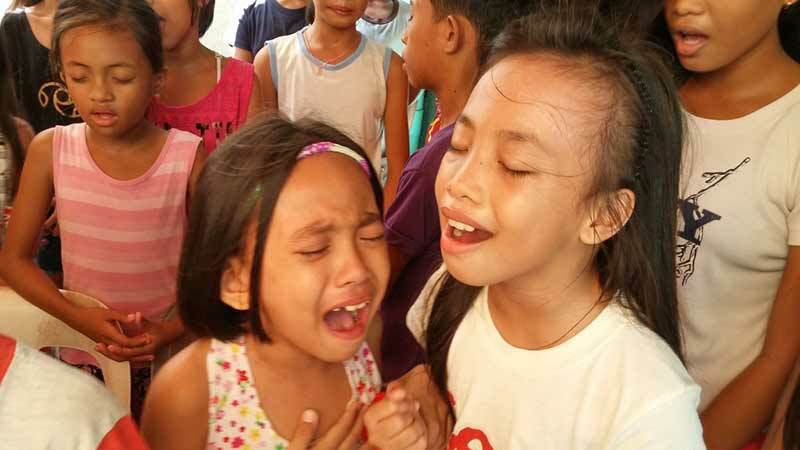 Most the residents, including children, endure constant hunger, both spiritually and physically. Some dig through the trash in order to find scraps. 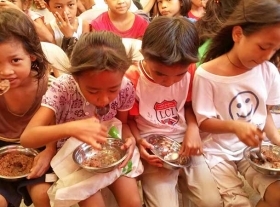 Poverty has reached the point that some adults turn to drugs to overcome pains of hunger. Messiah Missions has stepped up to help to some measure to suppliment both the food requirements and facilitate a growing Church community. 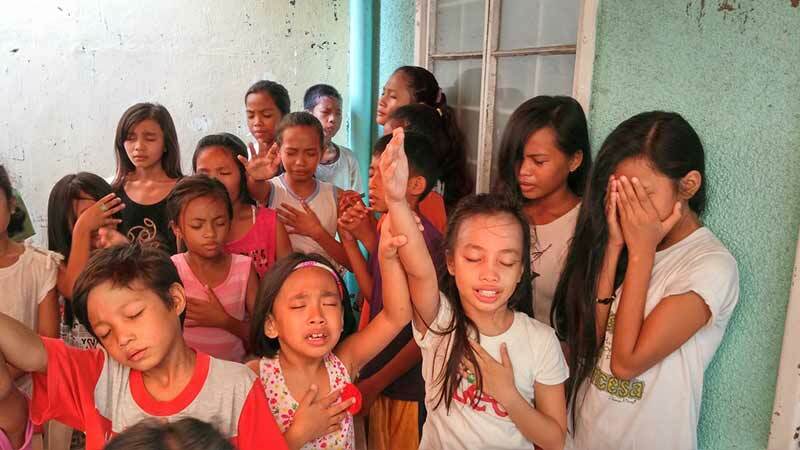 While other organizations are involved, only Messiah Missions and the South Korean ministry Adopt Asia is providing spiritual guidance. 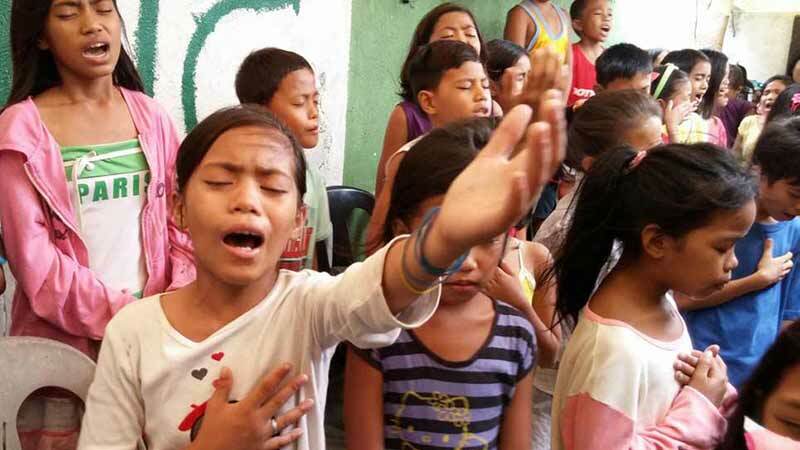 The children of the day are coming to church, which has blossomed into growth and revival. 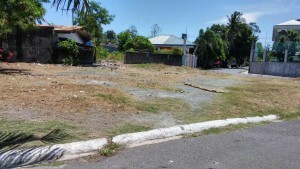 Hot weather and severe rainy season with typhoons often challenge the island, where the outdoor tent is not feasible. 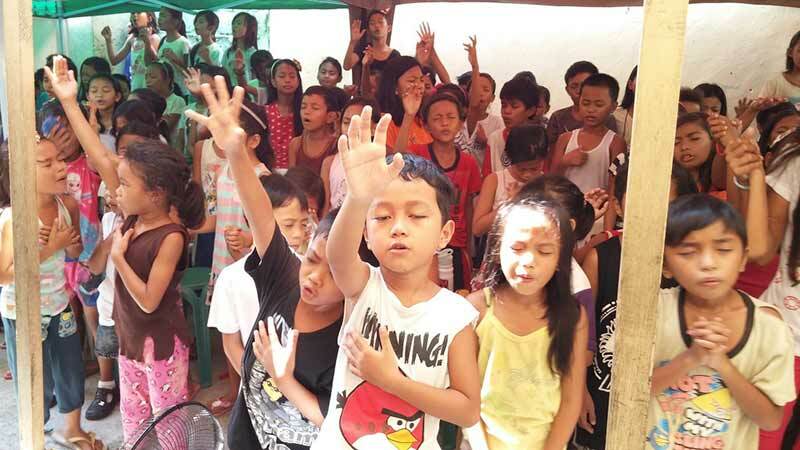 The dusty, hot and uncomfortable worship environment cannot accommodate any more local children on bare ground under the tent. A new shelter is needed to proceed with the advances in growing attendence and spiritual growth. 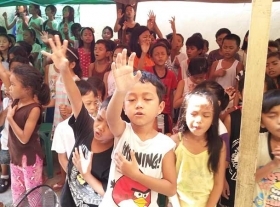 The purpose of the gospel to be delivered started in this place on May 2, 2007 and currently has established a “Children’s Tent Church” under Missionary Kim Sungjae, a missionary from South Korea who is stationed in Pulo. 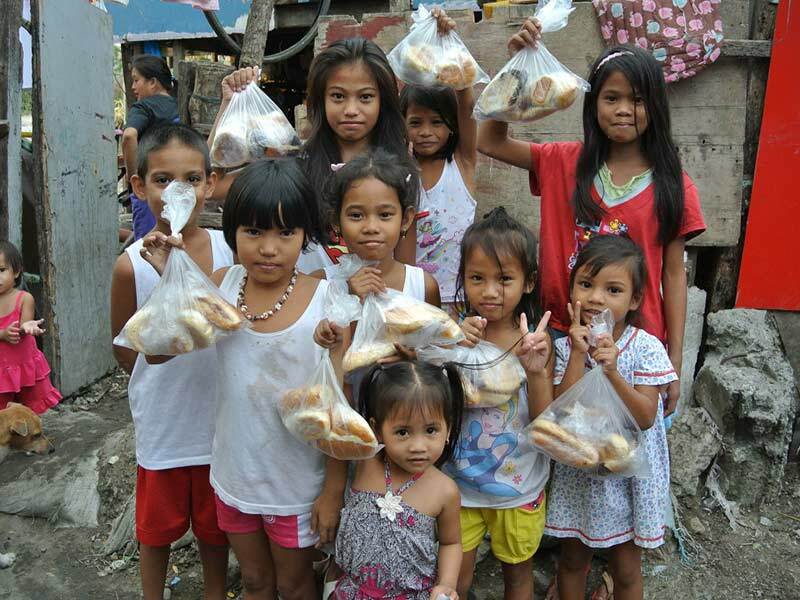 They sponsor partnership with missionaries from around the world to support the technology for baking bread. 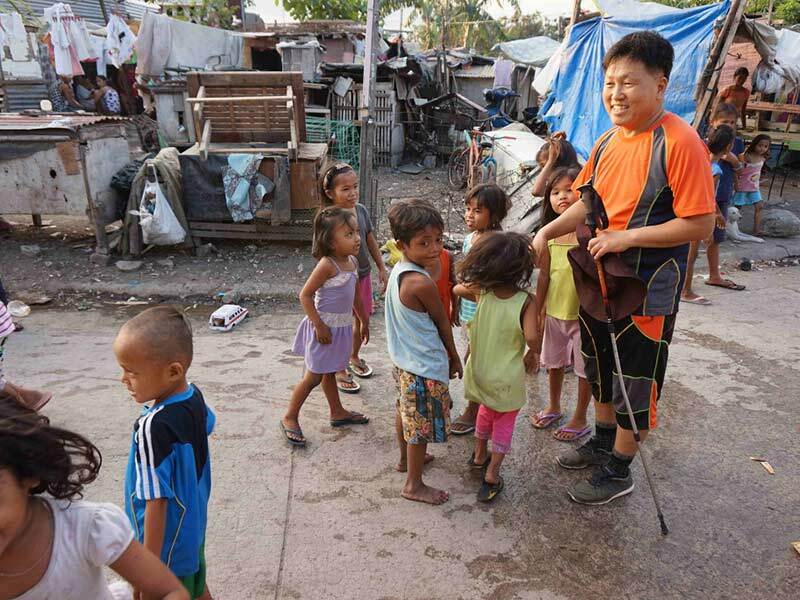 South Korean Missionary Kim Sungjae visits island. He goes on to say, “Established after the model of the early church, renting a small house in ordinary residential area. 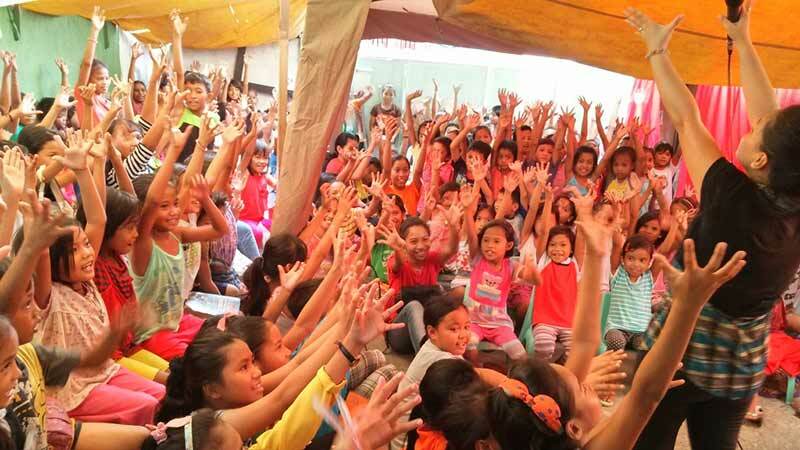 When the ministry started the current week day about 170 to 180 people. 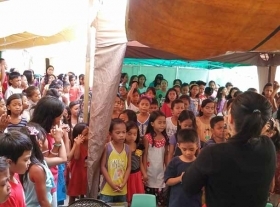 It is a problem that the current church tent occupancy is 180 people maximum extent, there need to be greater space to accommodate about 2,000 children who exceed the fundamental limits. 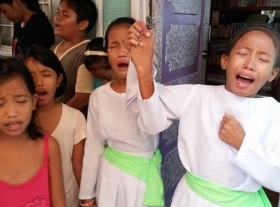 Therefore, the church building (former church) not neglect to prepare for future missions was destroyed by high winds, which faces us with considerably greater difficulty. So is the judgment of the missionaries. Prayers for supporters prior to construction and earnestly hope wholehearted support. The financial readiness must be (including the ground), good construction site and such is available and can be purchased immediately as home church when it works out. Considering some co-workers for taking advantage of the benefits to oversee the growth. 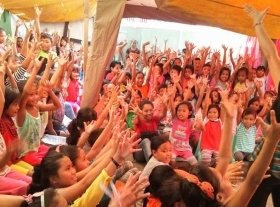 Asking sponsored faithful to join in giving earnestly for this purpose. 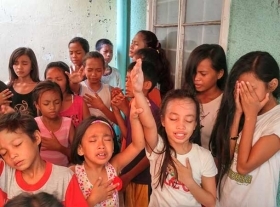 Note: Below we share a video and pictures of the children served by this ministry in worship. 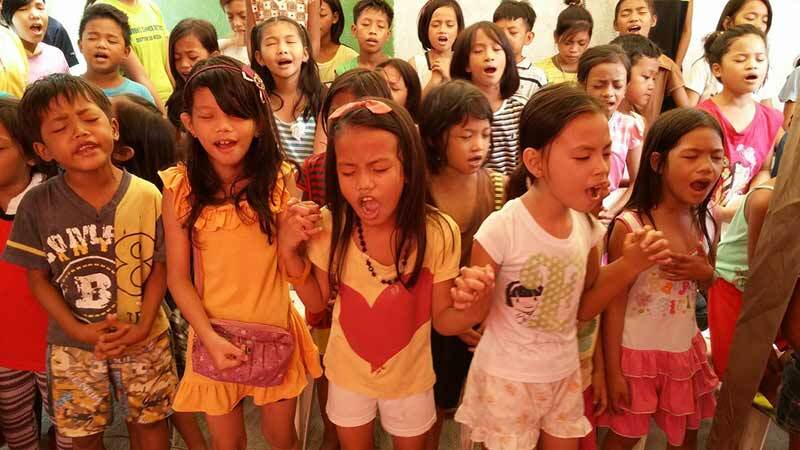 Isla Pulo Philippino Children Praising. 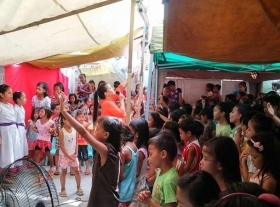 August 30, 2015, Republic of the Philippines, “is the” week of the Church worship tents. Sultry weather “under the tent” resulted in total an amazing 3 hours of worship over the day. 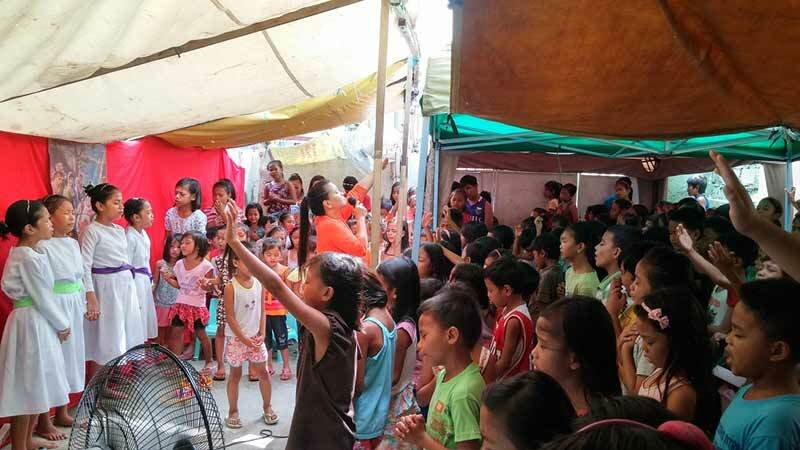 Local slum children hungry for the Lord praise God wholeheartedly. 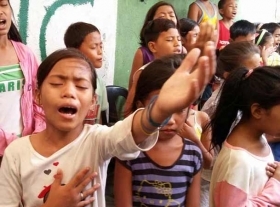 Will you will worship and embrace the small ones to your heart? Please click the Paypal link below in the footer to make a tax-exempt contribution or CLICK HERE. Please comment on the left of the Paypal screen during the donation process, to what ministry you wish funds to be dedicated.